Heat oven to 400°F. Spray 8 regular-size muffin cups with cooking spray. 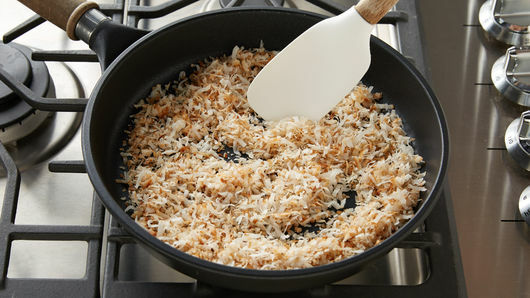 Sprinkle coconut in ungreased 10-inch nonstick skillet. Cook over medium heat 5 to 7 minutes, stirring frequently, or until light golden brown. Remove from heat. Reserve 3 tablespoons of the coconut in small bowl. In large bowl, mix remaining coconut, the pineapple, egg and nuts. 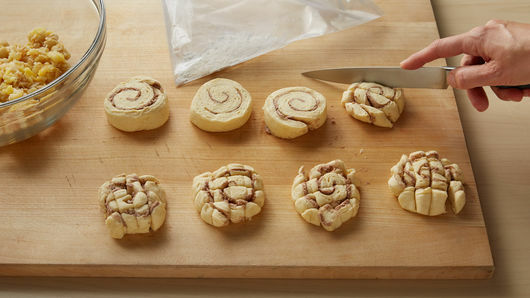 Separate dough into 8 rolls. Cut each roll into 4 strips; cut each strip into 4 pieces. Place in resealable food-storage plastic bag; add flour. Seal bag; toss to coat dough pieces. Add dough pieces to pineapple mixture; mix gently. 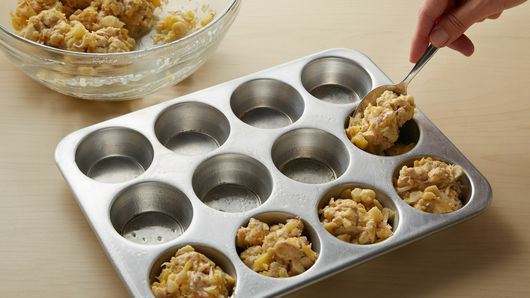 Spoon dough mixture evenly into muffin cups. Bake 16 to 18 minutes or until golden brown. Cool in pan 10 minutes. Run knife around each cupcake to loosen. Remove from pan; place on cooling rack. Cut each cherry in half. Spread icing from can evenly over warm cupcakes. 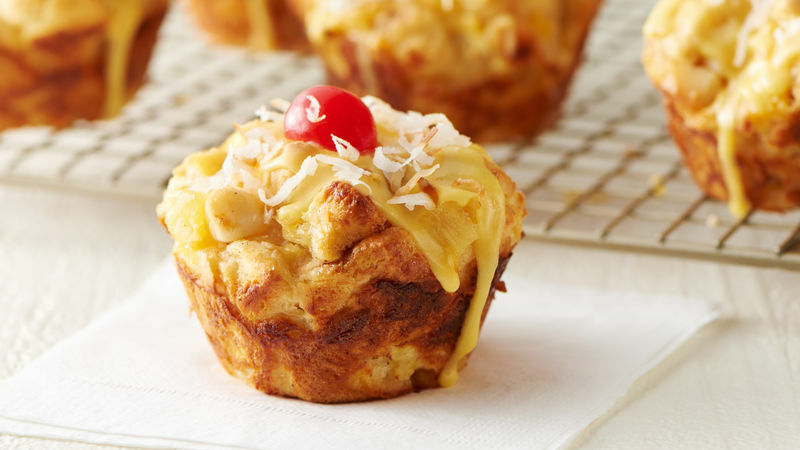 Top each cupcake with cherry half; sprinkle with reserved coconut. When my family was on vacation years ago, we enjoyed a heavenly tropical dessert that had coconut, pineapple and macadamia nuts with a touch of orange. I thought that I could create a recipe to remind me of our favorite dessert! I decided I wanted to make a breakfast that looks like a dessert. My family absolutely loves these breakfast cupcakes. They are fun to eat and I will be making them again and again!